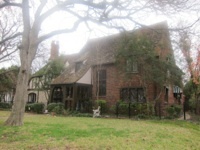 Majestic hilltop Prewar 1.5 story Tudor with ample porches surrounded by huge trees. 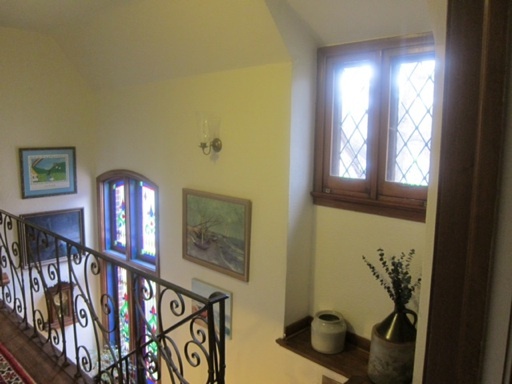 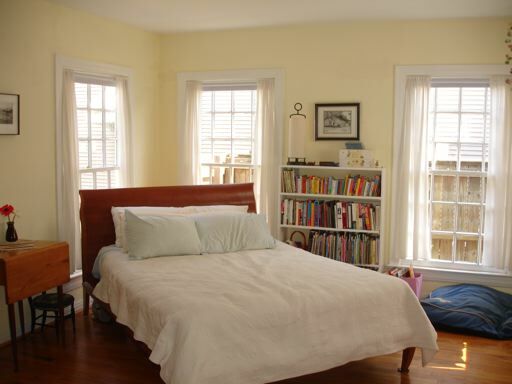 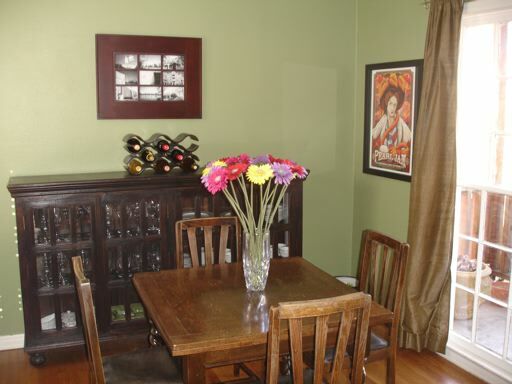 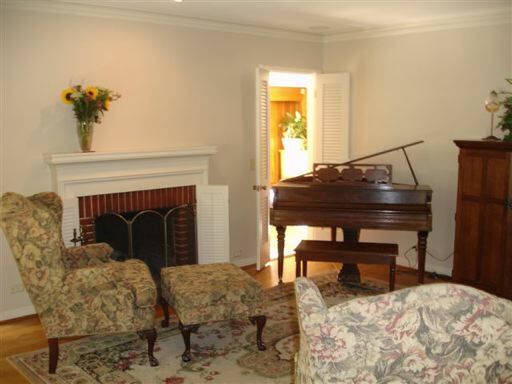 Has charm, grace and 9 ft ceilings with mouldings and original stained glass windows. Original elements such as built in bevelled glass hutch, Rookwood fire­place, stunning light fixtures, well maintained hardwood floors and basket weave tile. 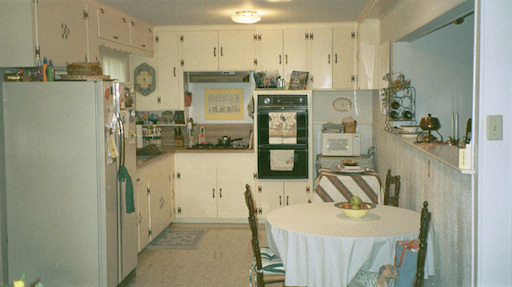 The longtime owners have completely renovated the eat-in kitchen with sile­stone counters, 2 big pantries, highly efficient cabinets with popout features & stor­age. Thermal windows, insulated attic and under house, installed special wiring for computers & stereo and owned sophisticated alarm system, inground sprinkler, herb garden, decks and professionally landscaped front and backyard. 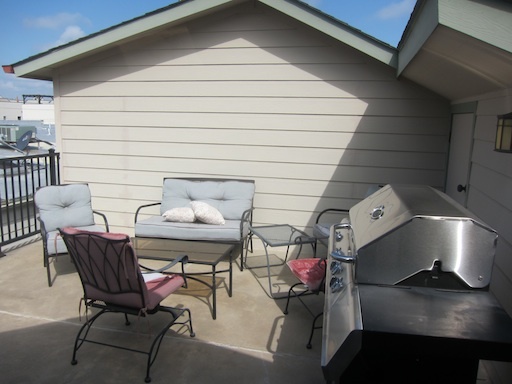 Roof in 2012 and tankless water heater. 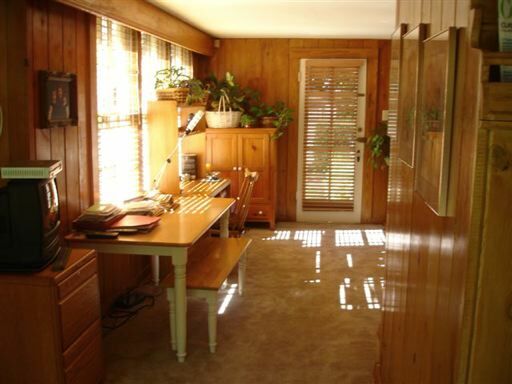 A neat reading room/office on 2nd floor has a treehouse feel. 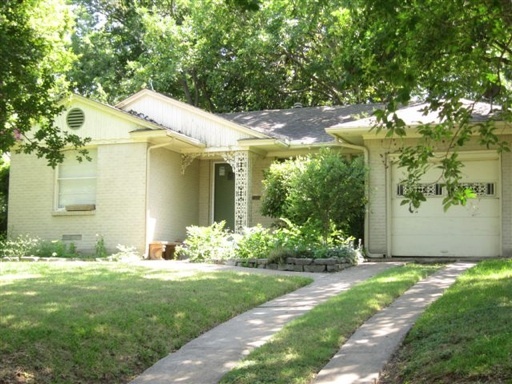 All this close to Downtown, White Rock Lake and famed Lakewood Elementary. 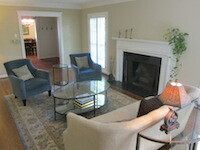 WONDERFUL GOLF COURSE VIEW FROM THIS 1950'S BRICK ONE STORY CHARMER ON A GREAT ELEVATED 59 X 145 LOT. WELL MAINTAINED HOME WITH ALL P & B CONSTRUCTION, TILE BATHROOMS, SKYLITE, WOOD PANED WINDOWS, WOOD BLINDS, EGDO, AND ATRIUM DOORS TO PATIO, ATTIC FAN AND RECENT SEWER LINE. 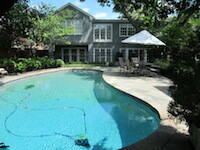 CLOSE TO HIKE AND BIKE TRAIL AND WHITE ROCK LAKE, WHOLE FOODS IS AN EASY WALK AS IS LAKEWOOD SHOPPING. 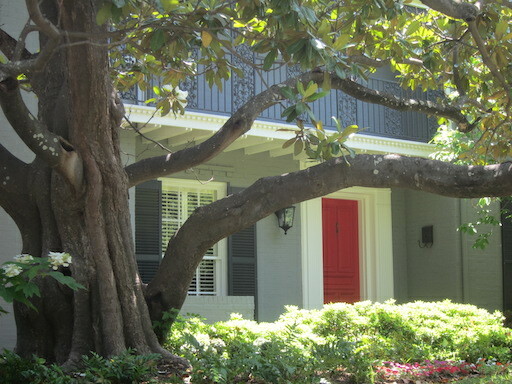 ONE OF THE BEST LOCATIONS IN THE AREA. 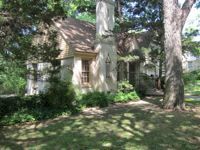 SPLENDID 2 STORY ON HILTOP SETTING WITH MASSIVE TREES IN THE HEART OF LAKEWOOD ON WONDERFUL FAMILY FRIENDLY STREET! 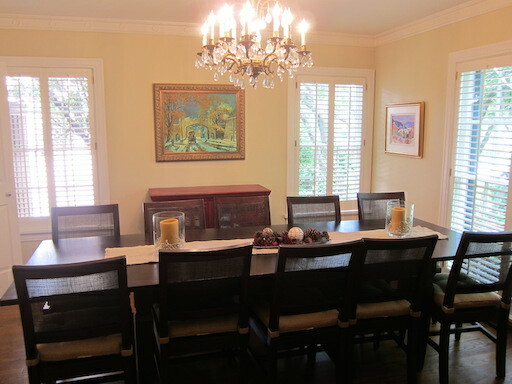 LARGE FORMAL LIVING AND DINING ROOMS, OVERSIZED DEN WITH WALL OF SHELVING AND FRENCH DOORS WITH VIEWS OF POOL, BACKYARD AND CABANA AREA. 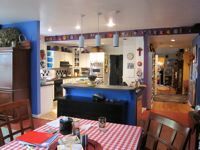 KITCHEN HAS GRANITE COUNTERS, SUBZERO, DOUBLE STAINLESS OVENS, BREAKFAST BAR AND OPENS TO BREAKFAST NOOK, SUNROOM AND BACKYARD. 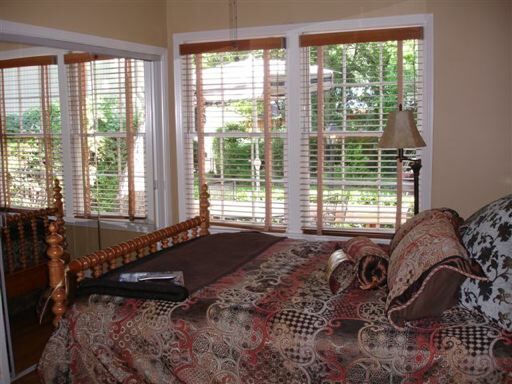 ALL BEDROOMS UP, RENOVATED BATHS, MASTER SUITE W PRIVATE BALCONY. 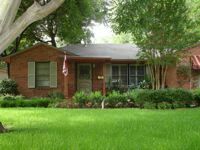 CLOSE TO WHITE ROCK LAKE, LAKEWOOD ELEMENTARY AND DOWNTOWN. 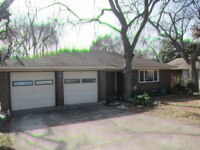 RARE TO FIND SPACIOUS SIDE BY SIDE DUPLEX IN CASA LINDA WITH 2, 621 SQFT., WITH GREAT TREES, HARDWOOD FLOORS, 2 BEDROOMS & 2 BATHS ON EACH SIDE, ALL WINDOWS HAVE BEEN REPLACED, RECENT ROOF, NEW SIDING ON GARAGE, ALSO SHED REMAINS. 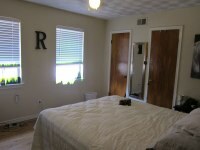 FLOOR PLANS ARE DIFFERENT ON EACH SIDE, EITHER SIDE PERFECT FOR OWNER OCCUPANT. EACH SIDE HAS A PRIVATE PATIO AND BIG BACK YARD, LOT MEASURES 130 X 147 DEEP. 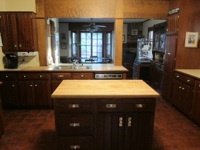 9314 SIDE IS HOMESTEADED. SOME TLC NEEDED BUT SOLID 1950'S CONSTRUCTION, RECENT ENGINEER'S REPORT POSTED CONFIRMS THIS. 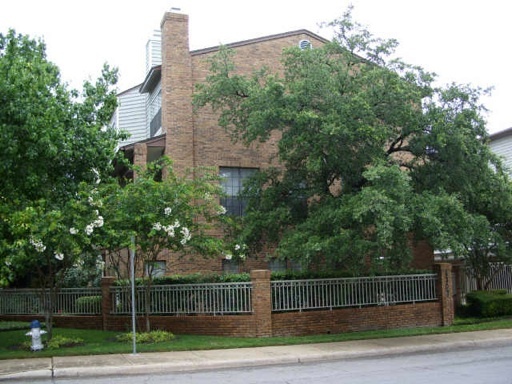 WALK TO STARBUCKS, CASA LINDA SHOPPING AND WHITE ROCK LAKE! 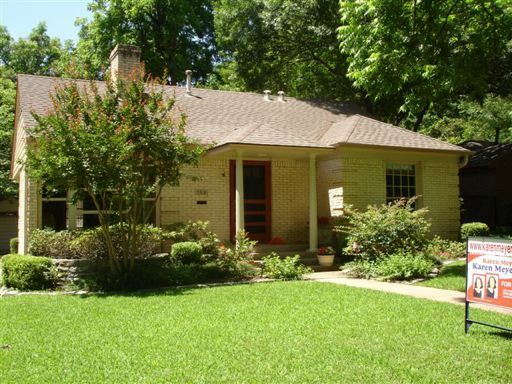 Exceptional home, corner lot, huge trees, sprinklered backyard. Hardwood & saltillo tile floors, replaced windows, master suite has renovated bathroom with walk-in tile shower,pedestal sink & great closet space. 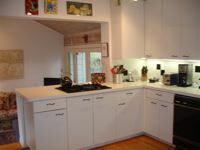 Kitchen with corian counters, white cabinets,breakfast area, opens to den with atrium doors & patio area. 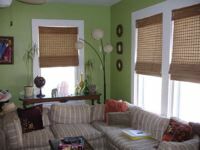 Tankless h20 heater,leaded glass front door & custom window shades. 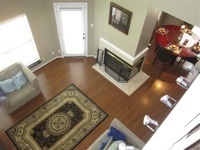 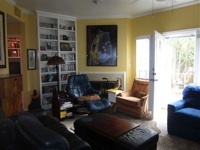 Walk to shopping areas, starbucks and stonewall jackson elementary. 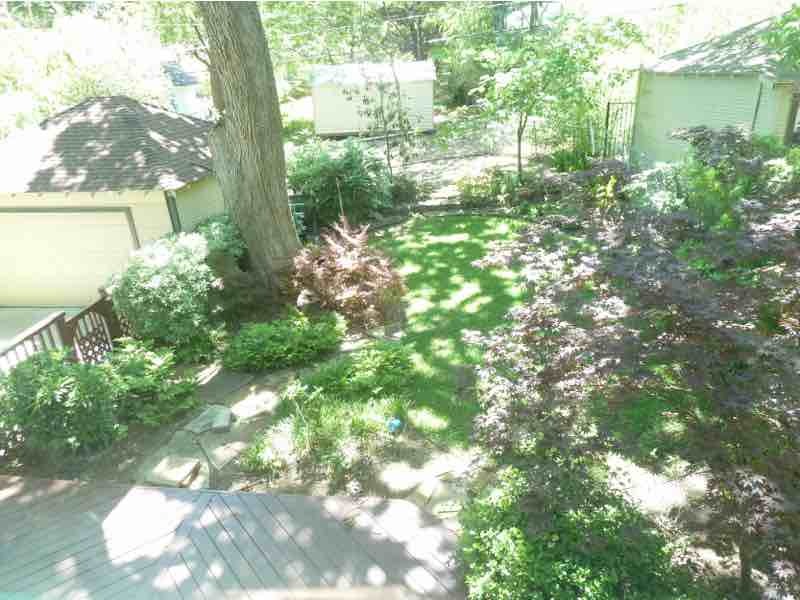 CREEK LOT WITH PRIVACY,TREES, LOTS OF BIRDS. 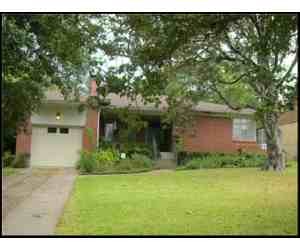 HOUSE HAS HARDWOODS,TILE FLOORING, VINTAGE BATHROOMS WITH GREAT TILE COLORS AND OPEN FLOOR PLAN. 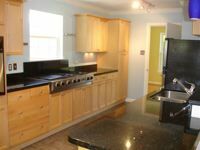 KITCHEN OPENS TO DEN WITH STONE FIREPLACE, DINING ROOM AND OUTDOOR PATIO. 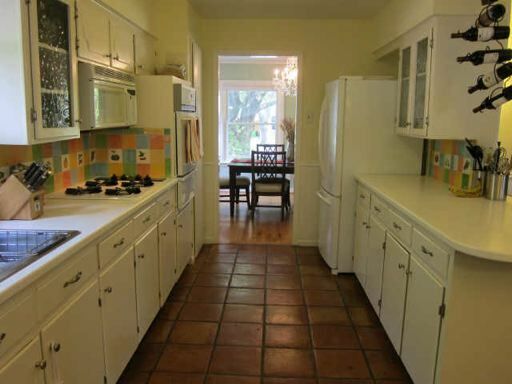 KITCHEN RECENTLY UPDATED WITH TILE COUNTERS, BREAKFAST BAR AND APPLIANCES. MASTER BEDROOM SUITE OVERLOOKS QUIET BACKYARD. 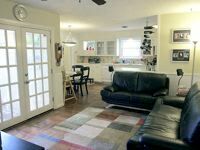 ALL THIS AND CLOSE TO WHITE ROCK LAKE AND DOWNTOWN. 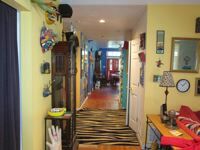 LIGHT-FILLED TOWNHOUSE IN COVETED BACK, QUIET CORNER LOCATION WITH A BONUS PARKING SPACE ADJACENT FOR GUESTS. 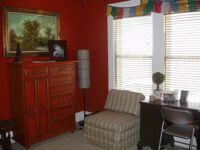 GUEST BEDROOM/ OFFICE ON 1ST FLOOR WITH CHARMING PATIO. 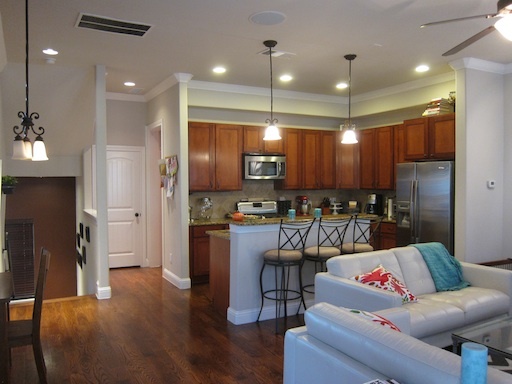 OPEN KITCHEN WITH GRANITE COUNTERS, WOOD CABINETS, BRFST BAR & HARDWOOD FLOORS OPENS TO SPACIOUS LIVING, DINING AREA AND BALCONY. 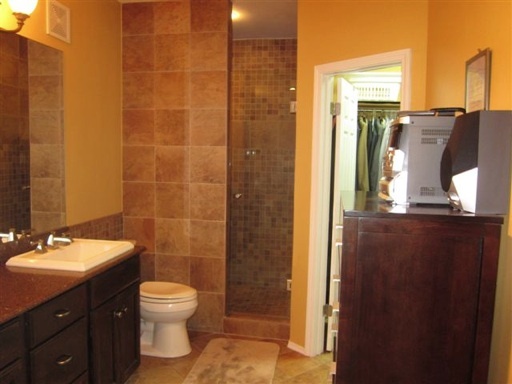 LARGE MSTR SUITE, WIC, GRANITE BATH. 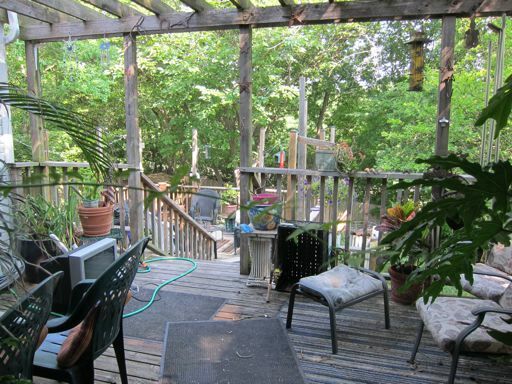 ROOF DECK WITH VIEWS. 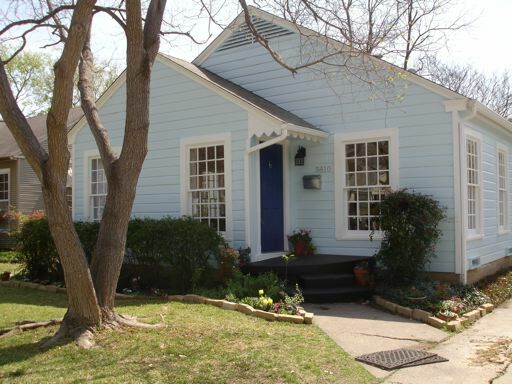 WALK TO LOWER GREENVILLE RESTAURANTS, TRADER JOES. 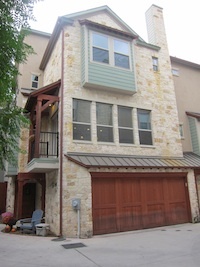 THESE TOWNHOUSES RARELY ON MARKET, RECENT SALE FOR 300,000 NOT ON MLS. 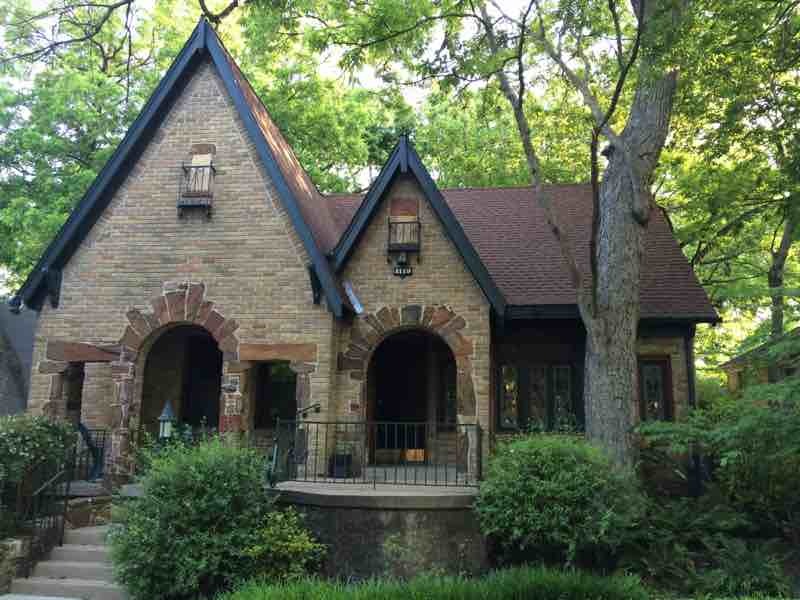 STORYBOOK TUDOR IN THE MOST UNIQUE SETTING ON 3 LOTS (.49 ACRES) IN HOLLYWOOD HEIGHTS CONSERVATION DISTRICT. 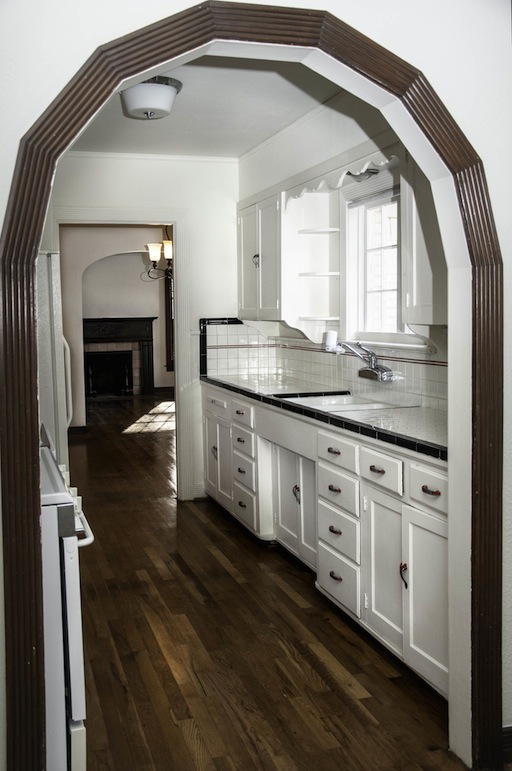 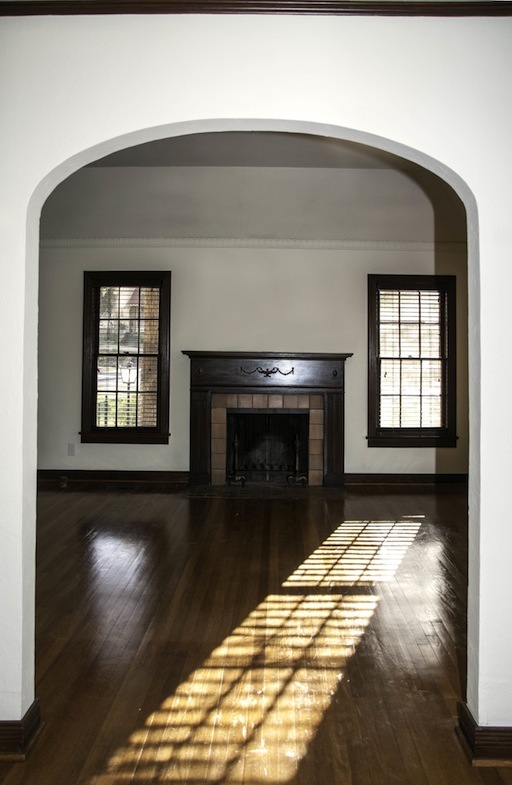 PRISTINE CONDITION WITH HARDWOOD FLOORS, ARCHES, PERIOD UNPAINTED MOLDINGS, ORIGINAL WOOD PANED WINDOWS, WOOD BLINDS, WALK IN CLOSETS AND ORIGINAL TILE IN KITCHEN AND BATHROOM . 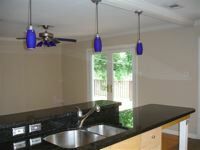 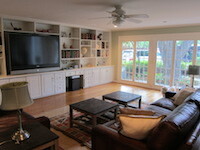 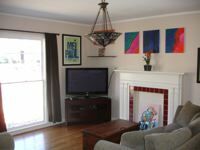 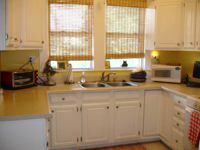 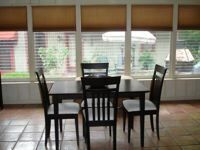 SUNROOM, BREAKFAST ROOM, PARTIAL BASEMENT, GARAGE APARTMENT, FULLY SPRINKLERED, LAKEWOOD ELEMENTARY, WALK TO WHOLE FOODS. 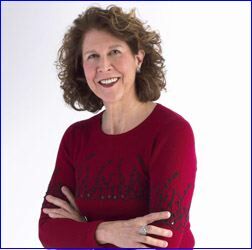 ASK ABOUT SUBDIVIDING LOTS. 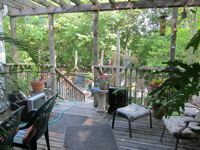 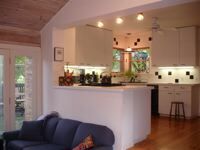 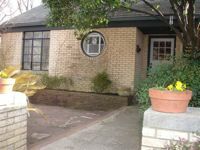 LAKEWOOD BUNGALOW, HUGE TREES AND GREAT LOCATION HALF BLOCK FROM SANTA FE HIKE AND BIKE TRAIL WHICH WINDS TO WHITE ROCK LAKE. PAINTED HARDWOODS, RECENT TILE IN BATH, HALF BATH HAS EXISTING PLUMBING FOR SHOWER. 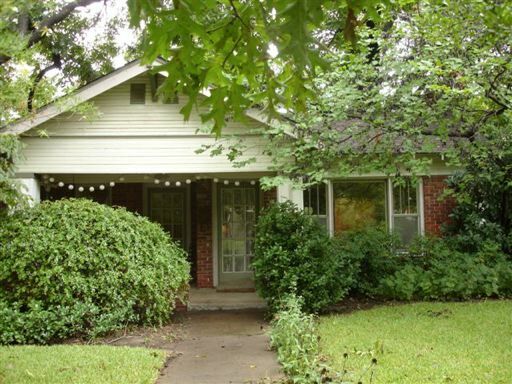 THIS IS A VERY SIMPLE HOUSE, ITS DESTINY IS TO BE A TEARDOWN BUT MEANTIME CAN BE ENJOYED BY SOMEONE WHO WANTS LAKEWOOD ELEMENTARY, WALK TO WFM, BIKE AT A VERY LOW PRICE. 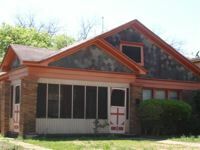 ALSO FOR LEASE. 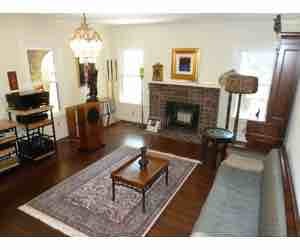 RECENT SALE SIMILAR ADJACEN STREET 131,500 NOT IN MLS. 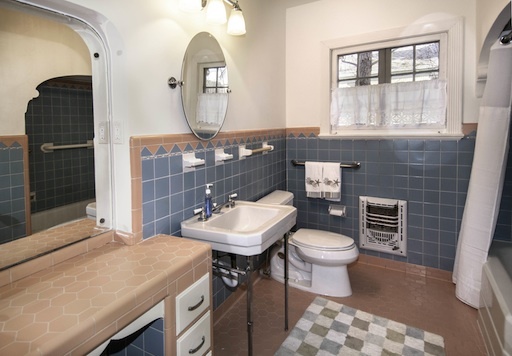 A RARE PRE-WAR DUPLEX IN POPULAR HOLLYWOOD HEIGHTS. 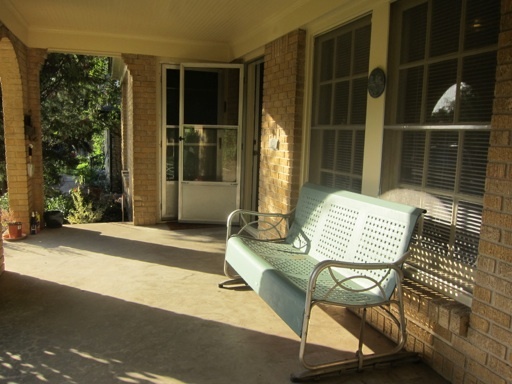 PERFECT FOR AN OWNER-OCCUPANT. 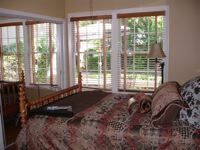 EACH 1 BEDROOM SIDE HAS HARDWOOD FLOORS, WOOD-PANED WINDOWS, SOLID CORE DOORS, ORIGINAL LIGHT FIXTURES AND MOULDINGS, CH/CA AND FULL-SIZE LAUNDRY AREA. 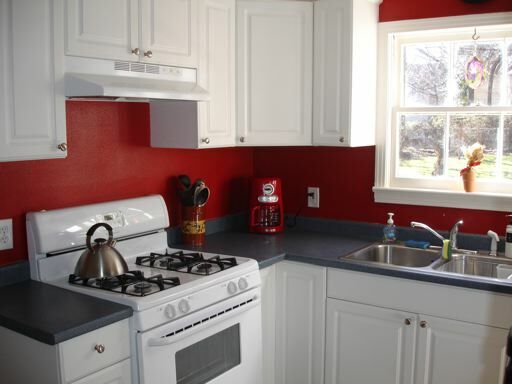 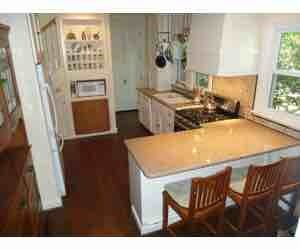 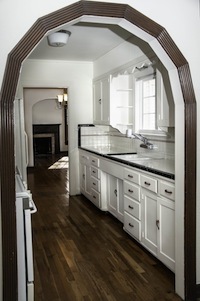 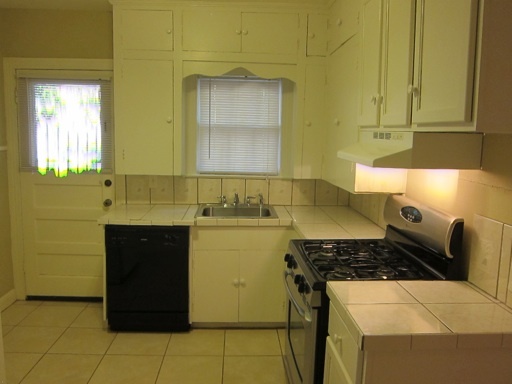 718 HAS A RENOVATED KITCHEN WITH TILE FLOORS AND COUNTERS AND GAS RANGE, FRIDGE ALSO REMAINS. 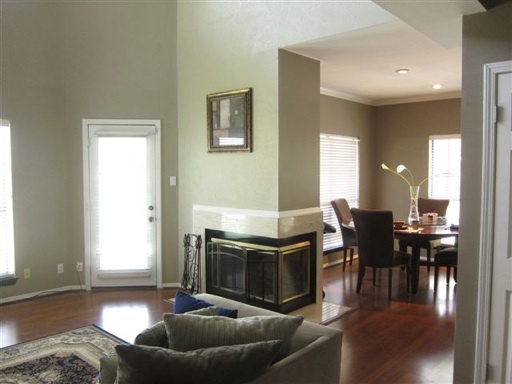 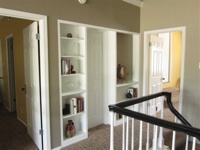 MOCK FIREPLACE, SIDE AND FRONT PORCHES, LARGE CLOSETS, TILE BATH AND A SHARED 2 CAR GARAGE. 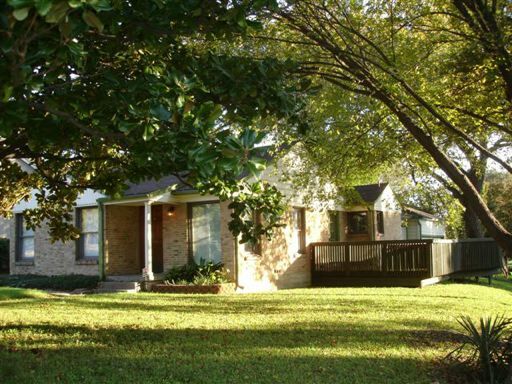 CONSERVATION DISTRICT, LAKEWOOD ELEMENTARY, CLOSE TO WHITE ROCK LAKE AND HIKE AND BIKE TRAIL. 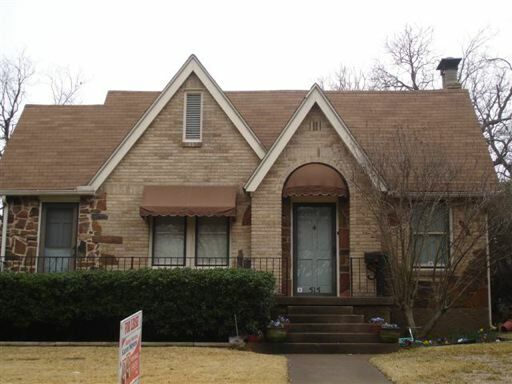 PERFECT HILLTOP SETTING FOR NEW CONSTRUCTION IN A NEIGHBORHOOD AND A BLOCK WITH MANY RECENTLY BUILT HOUSES. 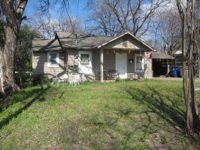 POSSIBLE TO RENOVATE AS WELL WITH HARDWOOD FLOORS AND GREAT FLOOR PLAN. 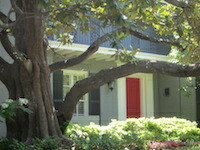 GOOD TREES, GREAT BLOCK. 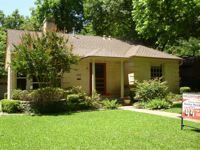 CLOSE TO SANTA FE TRAIL, WHITE ROCK LAKE, WHOLE FOODS AND DOWNTOWN. 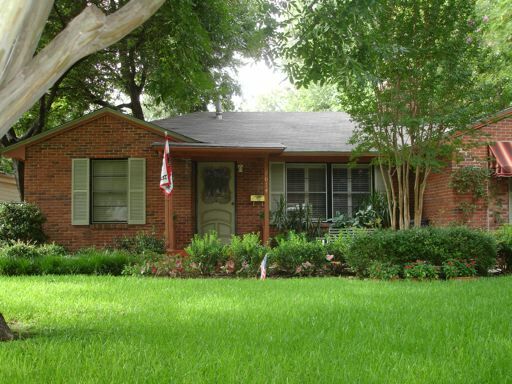 LAKEWOOD ELEMENTARY AND OTHER PRIVATE SCHOOLS. 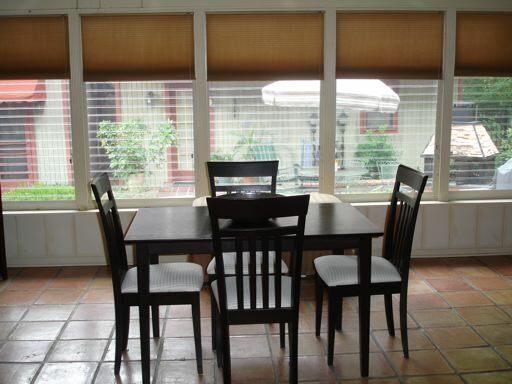 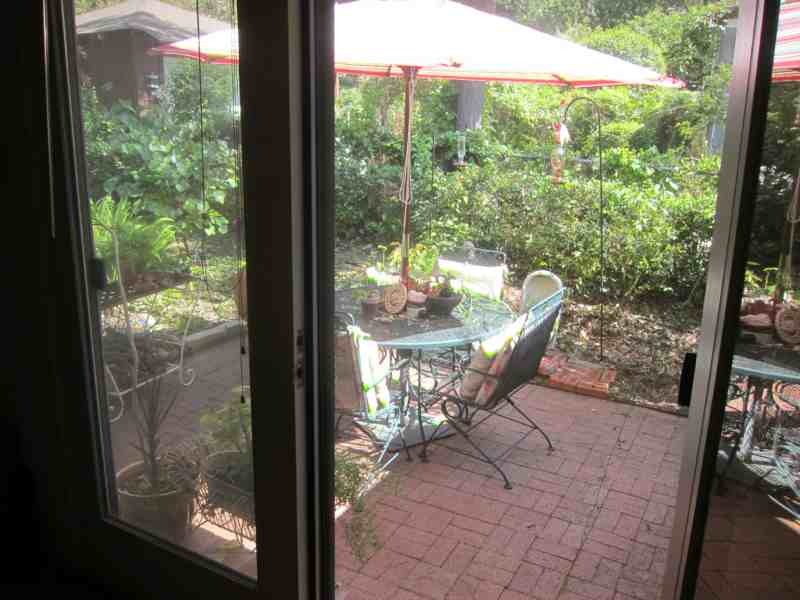 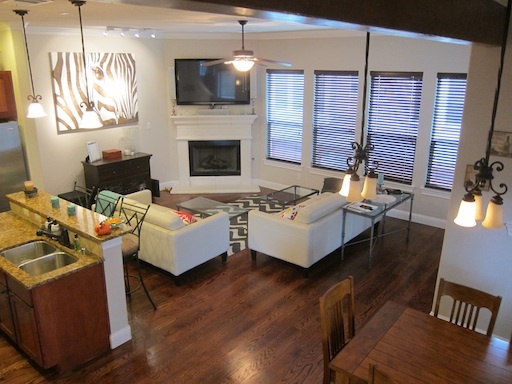 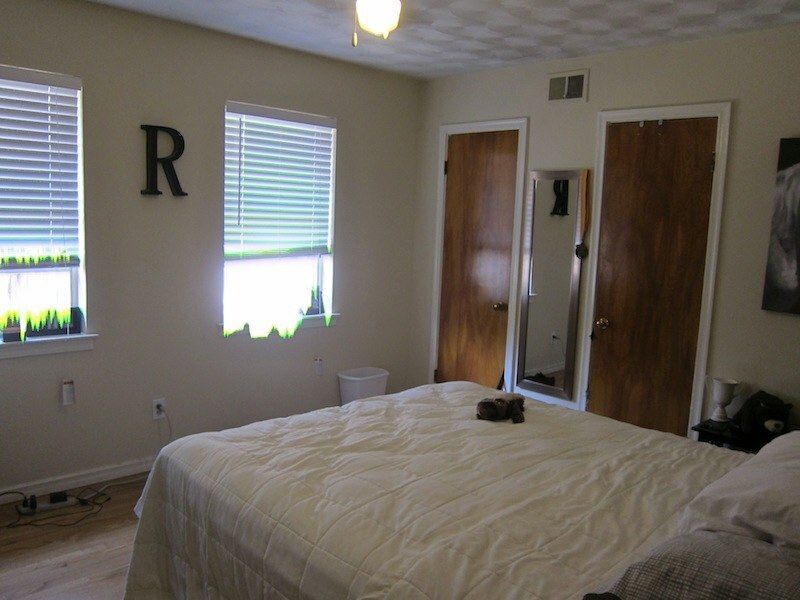 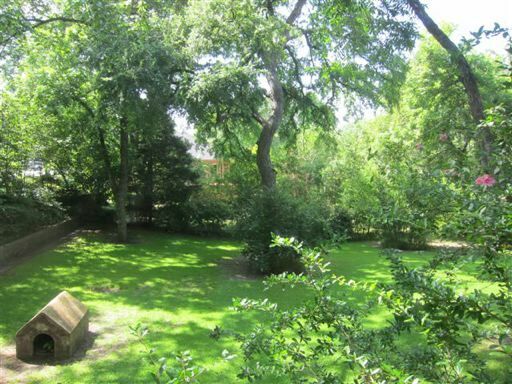 THIS QUIET FIRST FLOOR UNIT HAS A WBFP, LARGE PRIVATE PATIO AREA AND GATED COVERED PARKING. 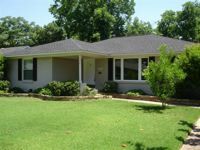 THE PRESENT OWNER HAS ADDED MANY UPGRADES: JACUZZI TUB, TILE & FIXTURES IN BATHROOM, OVERSIZE 58 GAL H20 HEATER, VERTICAL BLINDS, ALARM, STORM DOOR, WINDOW SCREENS, MANY BUILT INS: BOOKSHELVES, COMPUTER & T.V. 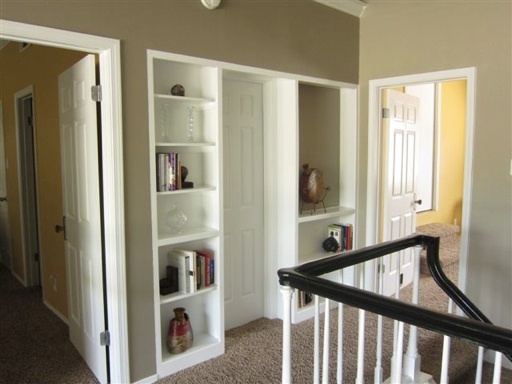 AREAS AND GOOD STORAGE. 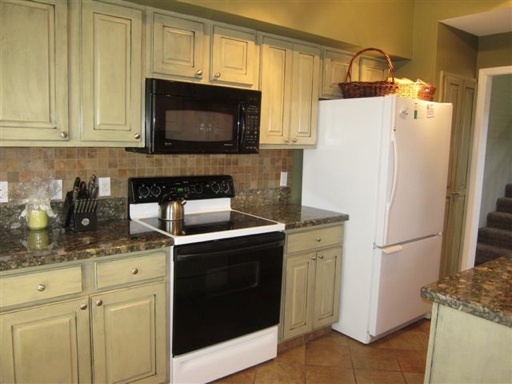 ALL RECENT APPLIANCES REMAIN INCLUDING FULL SIZE STACK WASHER/DRYER. 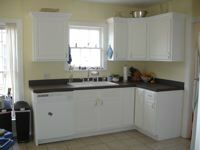 KITCHEN HAS PANTRY & LOTS OF CABINETS & COUNTER SPACE. 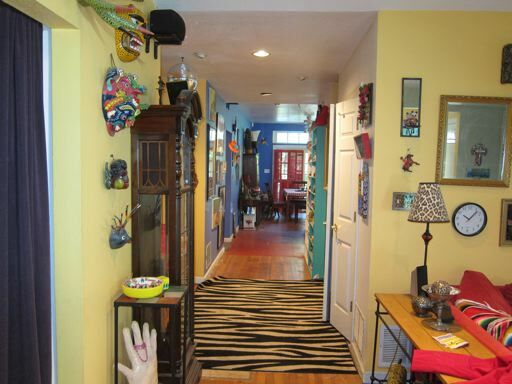 WALK TO MANY RESTAURANTS, RETAIL AND 1.5 BLOCKS TO WHOLE FOODS STORE. 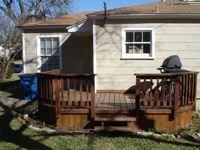 CLOSE TO WHITE ROCK LAKE & TRAIL. 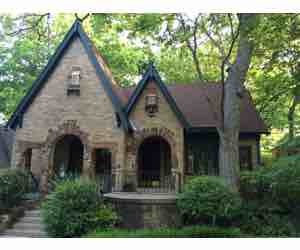 STORYBOOK TUDOR IN THE MOST UNIQUE SETTING ON 3 LOTS (.49 ACRES) IN HOLLYWOOD HEIGHTS CONSERVATION DISTRICT. 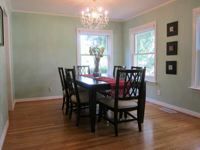 PRISTINE CONDITION WITH HARDWOOD FLOORS, ARCHES, PERIOD UNPAINTED MOLDINGS, ORIGINAL WOOD PANED WINDOWS, WOOD BLINDS, WALK –IN CLOSETS AND ORIGINAL TILE IN KITCHEN AND BATHROOM . 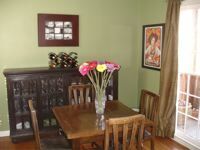 SUNROOM, BREAKFAST ROOM, PARTIAL BASEMENT, GARAGE APARTMENT, FULLY SPRINKLERED, LAKEWOOD ELEMENTARY, WALK TO WHOLE FOODS. 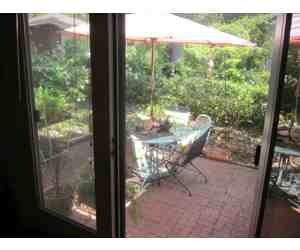 HOLLYWOOD HEIGHTS WITH A VIEW & ACCESS TO THE HIKE AND BIKE TRAIL. 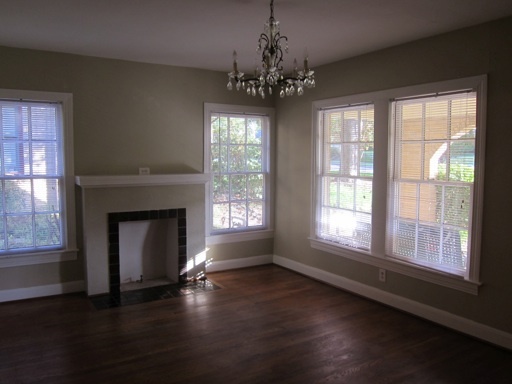 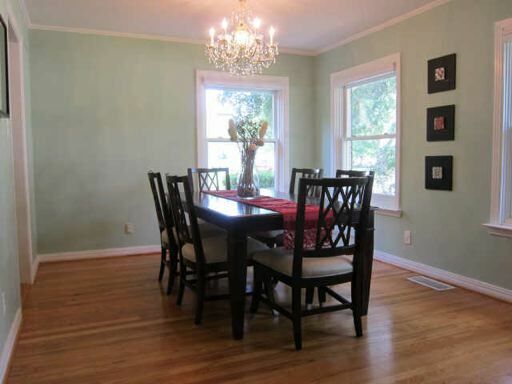 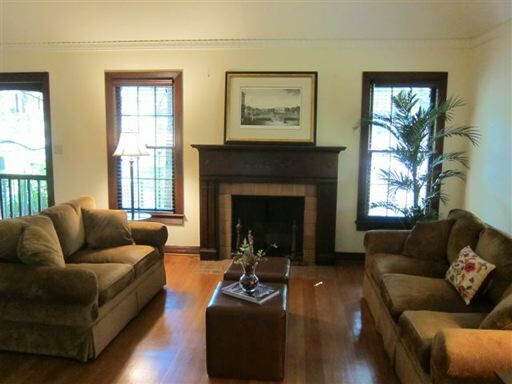 HARDWOOD FLOORS, LIVING ROOM HAS CATHEDRAL CEILINGS. 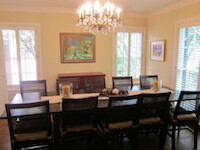 RENOVATED ADDITION OF A LARGE KITCHEN/DEN/DINING AREA AND MASTER BEDROOM AND BATH THAT OVERLOOK THE GARDEN. 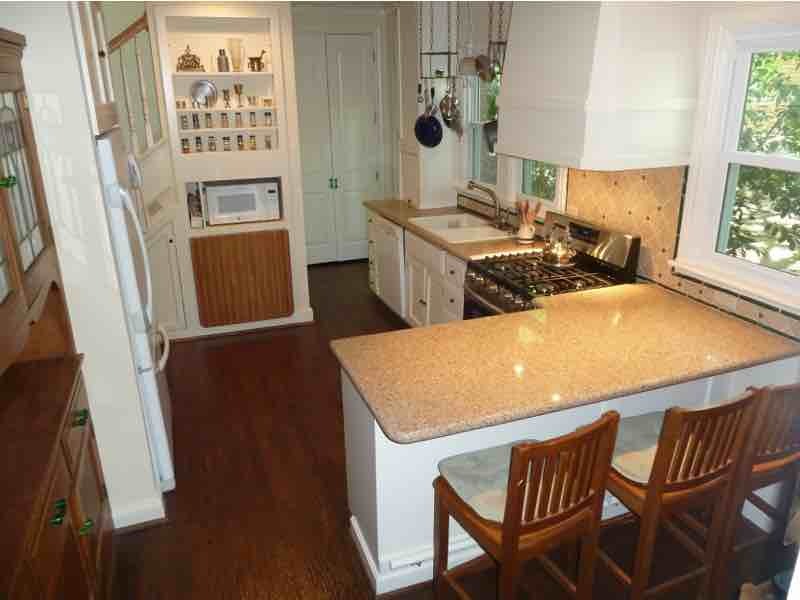 KITCHEN HAS ISLAND, GLASS-FRONT WHITE CABINETS, BREAKFAST BAR AND OPENS TO DEN AND SENSATIONAL MULTI-LEVL DECKS. 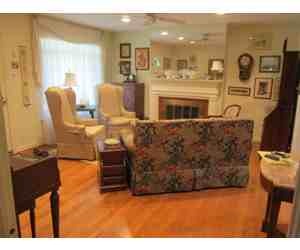 HUGE CLOSETS, FULL SIZE LAUNDRY AREA & BASEMENT LARGE ENOUGH TO BECOME OFFICE OR MOTHER-IN-LAW SUITE. 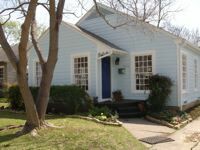 CLOSE TO WHITE ROCK LAKE AND DOWNTOWN. 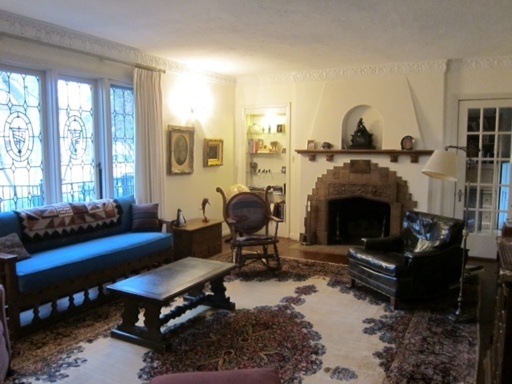 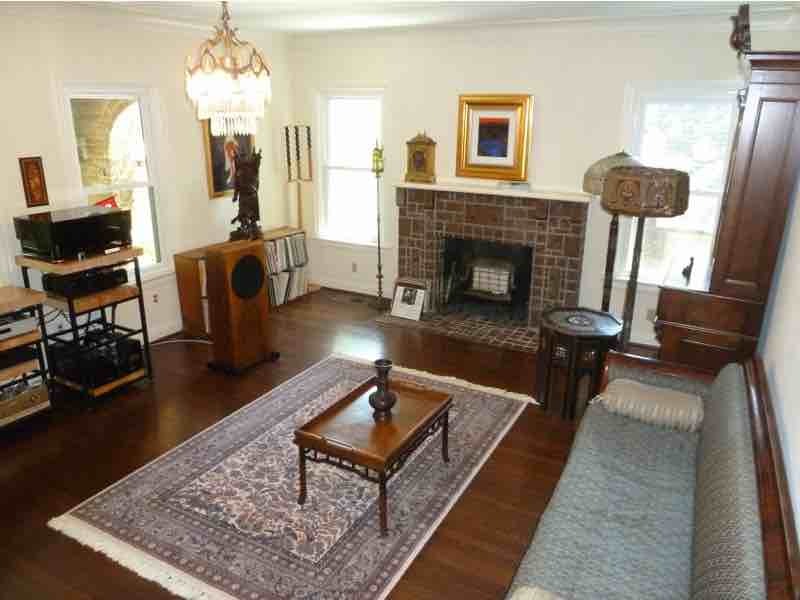 Wonderful hard-to-find lakewood re-do with hardwood floors, art deco touches with glass block, great moldings and over-sized mantel on fireplace. Great floor plan, has sunroom which brings in lots of light, blue and white tile bathroom, spacious kitchen and a bonus room to either convert back to a garage or use for a master suite. 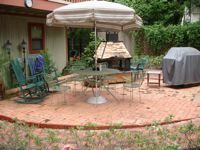 Close to white rock lake, downtown and whole food store. 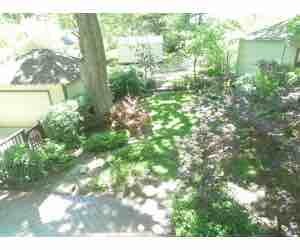 Rare opportunity: a soft contemporary on a spectacular over-sized lot with golf course view in lakewood! 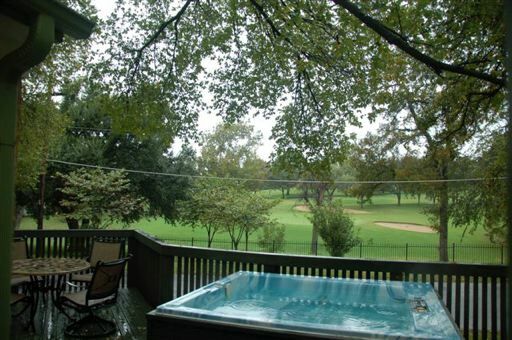 Wonderful hardwoods, tile bath, renovated u-shaped kitchen with lots of storage and a den with pale wood cathedral ceiling & atrium doors overlooking deck with hot tub and view of 3rd hole at lakewood country club. Recently (may) replaced air conditioning, big closets,well insullated, room for expansion and 2 car garage. 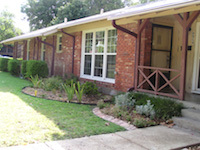 Lakewood elementary, close to white rock lake and walk to whole foods store! More than a house! 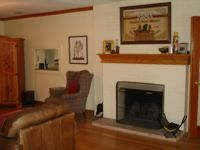 Very special light-filled house with a “rustic” feel: built-ins flank fireplace, bookshelves, natural wood moldings, all original windows open with screens and recently re-finished hardwood floors. 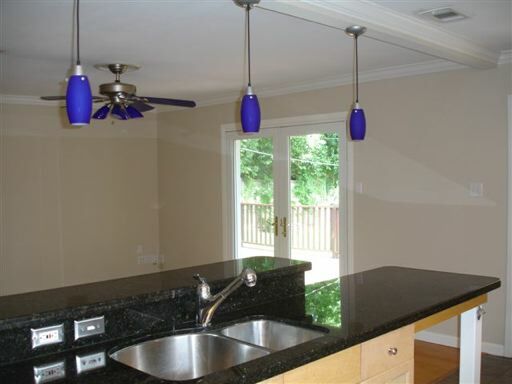 Elevated ceiling & V-lux skylights in charming kitchen. French doors to deck and an “eat in” bar which hides washer and dryer. Easy access to attic, deck, linen closet, Bosch tankless water heater and pesticide free for 25 years! Current owner has done many “hands on” details that are hard to find in most houses. 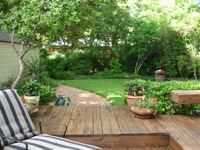 Surrounded by large Pecan trees filled with cardinals and wrens! 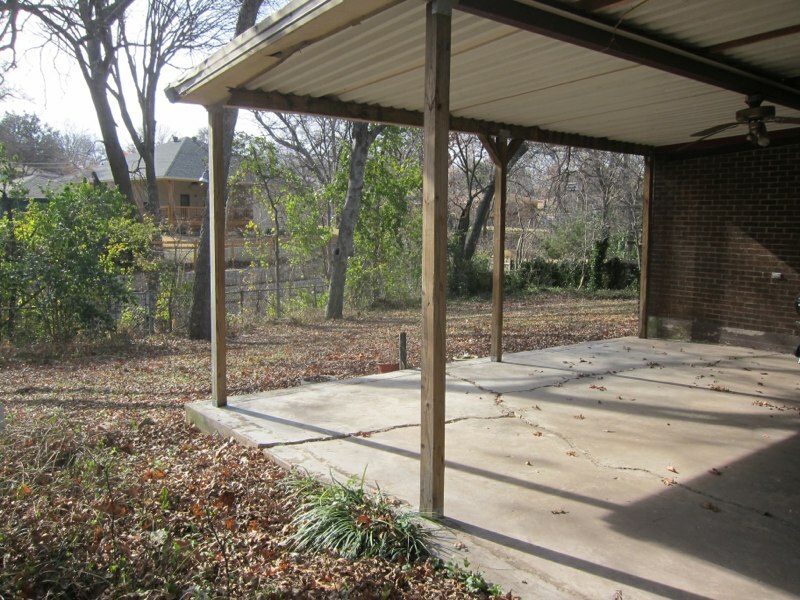 Close to emerging hike bike trail, downtown and White Rock Lake. Lakewood Elementary. 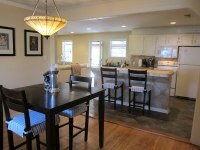 Bungalow located approx 1 mile from Whole Foods and 2 blocks to hike and bike trail! 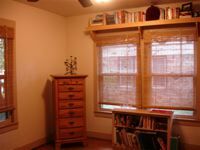 Recent bamboo flooring, berber carpet and tile, light fixtures and ceiling fans, custom shades, French doors, storm windows, front porch, cement pad to add garage or storage building, wood fence and security system. 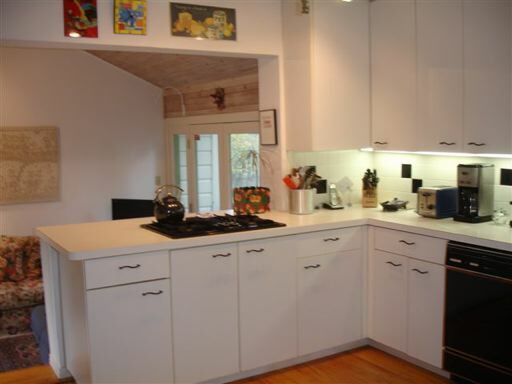 Recent appliances (disposal, dishwasher, stove, sink) in kitchen. 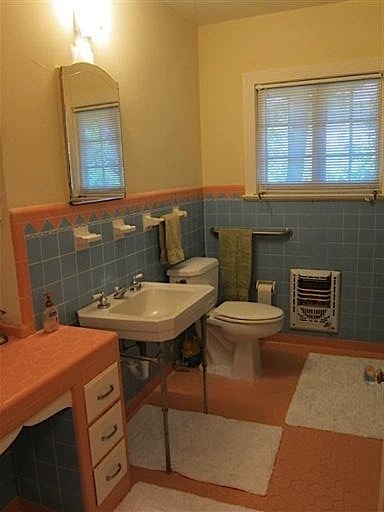 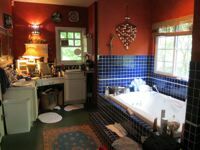 Bath has recent flooring, toilet, medicine cabinet & solar tube. 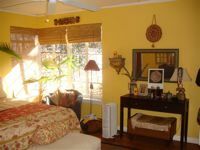 Large master bedroom with window seat, good closet space and bonus room with beaded ceiling. 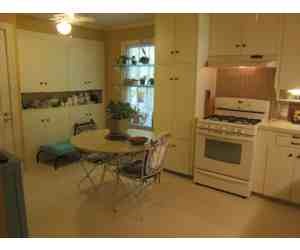 Utility room has stack washer and dryer which is negotiable could be 3rd bedroom. 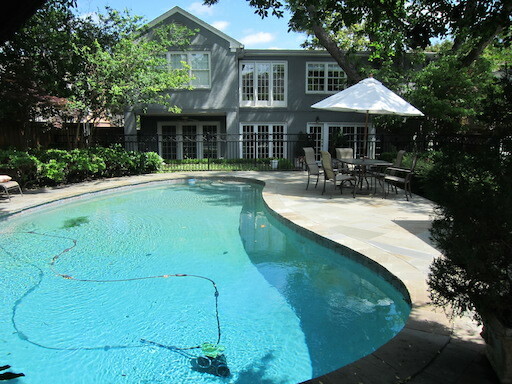 Wonderful & Incredible renovation close to Lakewood shopping and White Rock Lake. Kitchen has maple cabinets, slab granite, stainless appliances, Jennaire with grill and opens to den, atrium doors, deck and great backyard. Added insulation, recent ducts & HVAC system. Roof is 3 years old with added soffits and rooftop vent makes this a trouble-free, energy efficient home. 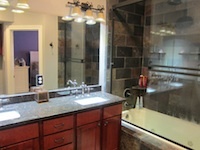 Master bathroom also recently renovated with tile floor & shower and replaced fixtures. 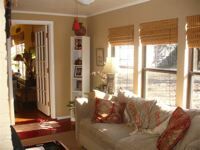 Sprinkler, alarm and complete window replacement with low-e and argon-filled windows with lifetime warranty from Home Depot. 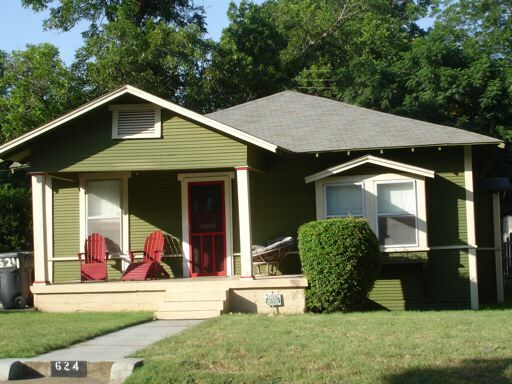 Close to downtown and new Whole Foods. 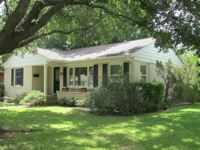 Wonderful Lakewood cottage with wood paned windows, renovated kitchen has granite slab counters and maple cabinets, Bosch dishwasher, hardwoods floors throughout, recent carpet in study, tile in playroom, WBFP, renovated master bathroom with tile & glass shower enclosure, updated electrical. 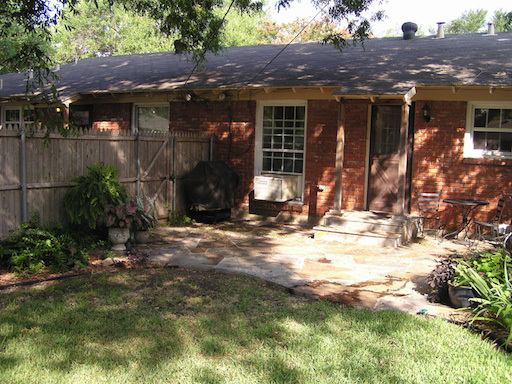 Extremely well maintained, expansion possibilities, sprinkler system, close to White Rock Lake. 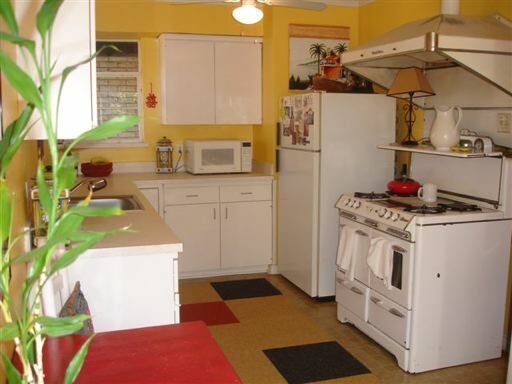 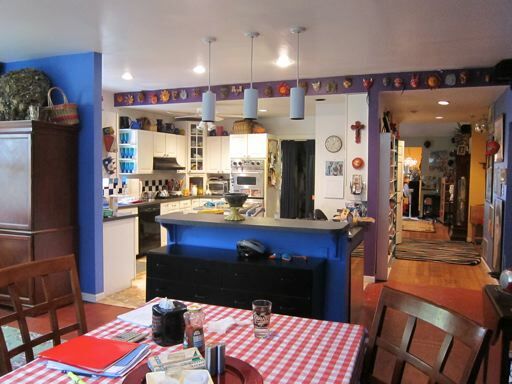 Wonderful 3 bedrooms 1 bath house to renovate in Hollywood Heights. 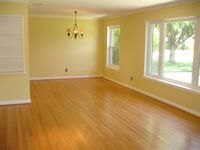 Hardwood floors, great lot and street. 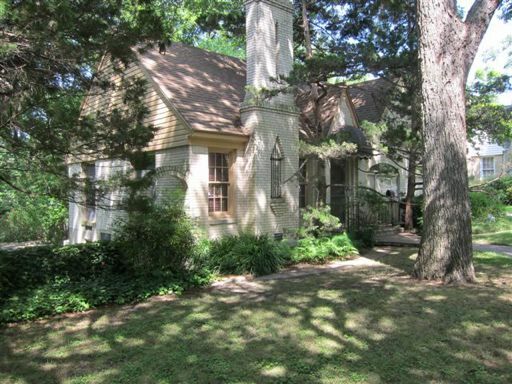 Lakewood cottage style with wood paned windows, some 8 X 8, hardwood floors, built-ins, solid wood-paned doors and large closets. 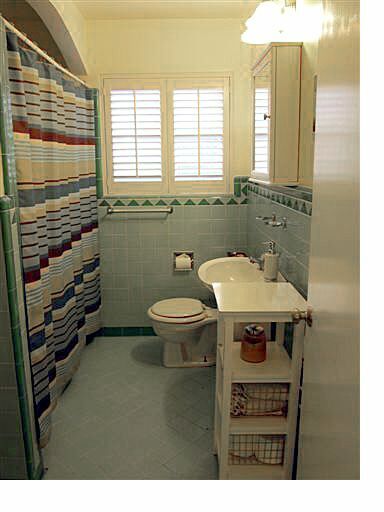 Renovated tile bathrooms have a fresh, crisp look. 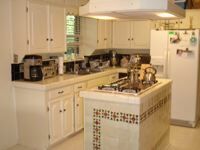 Kitchen renovated with white cabinets, tile floor, granite counters and backsplash. 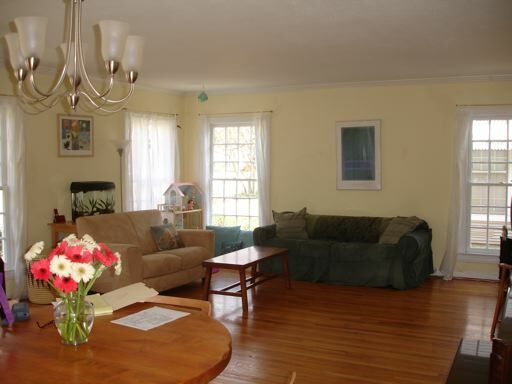 House has an open, airy feeling and spacious. 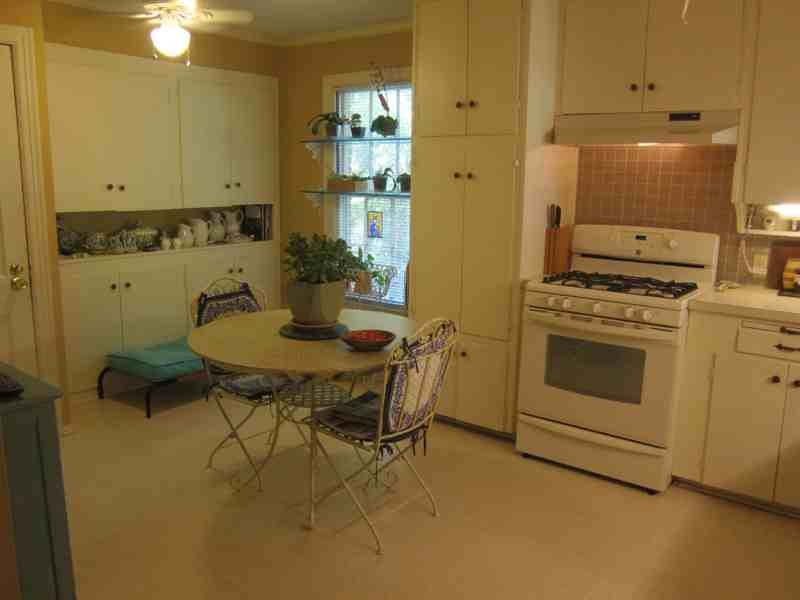 Recent (March 2009) paint outside, Euro washer/dryer combo and refrigerator negotiable. 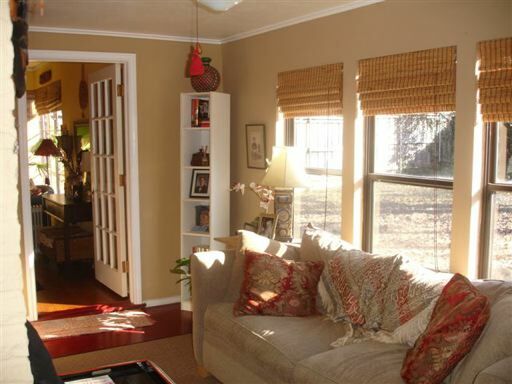 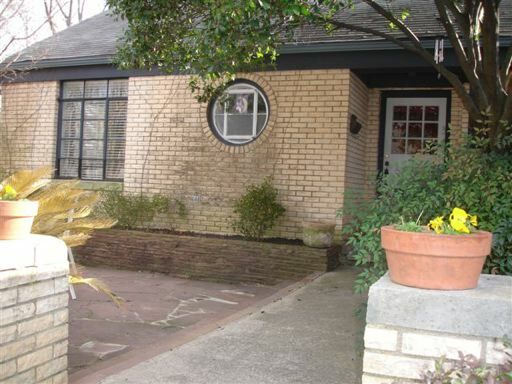 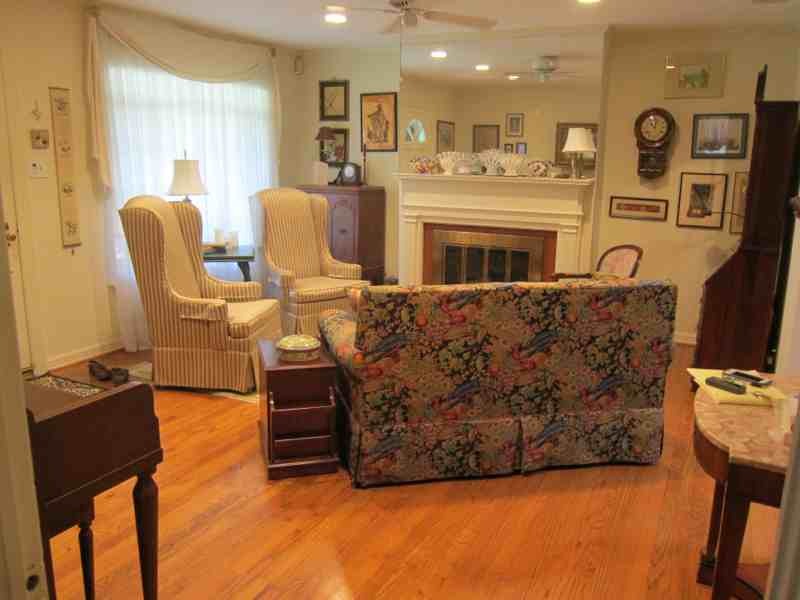 Location is superb, walk to Stonewall Jackson Elementary and shopping. 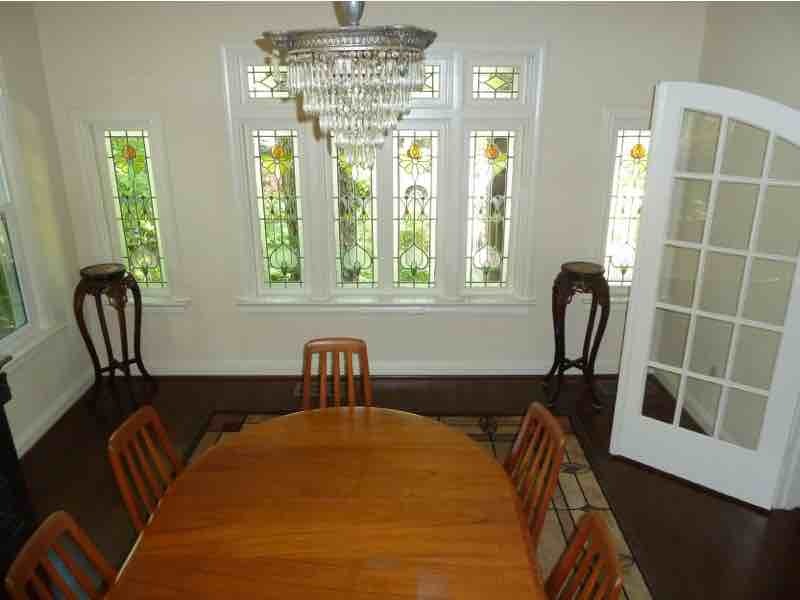 Hollywood Heights Pre War Tudor. 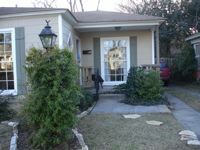 Wonderful hardwoods, spacious updated kitchen & 2 baths, fireplace & built-ins in living room, separate study or 3rd bedroom with built-ins, great backyard. 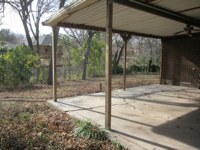 Sprinkler system, alarm, carport, 1 car garage and attached storage. 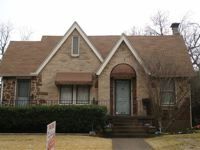 Also for lease for 1,750.00. 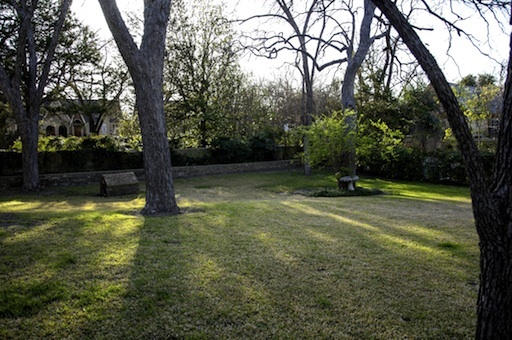 Lakewood Elementary and close to emerging hike and bike trail. 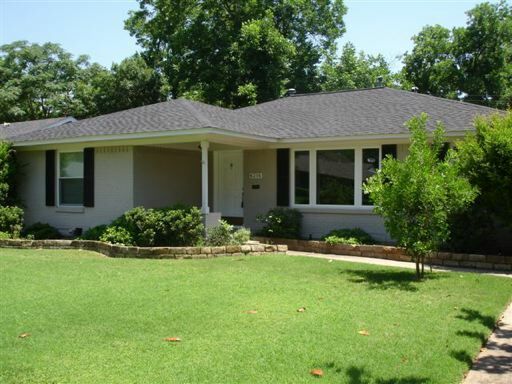 Cottage style home on large lot in the great "c streets" neighborhood, close to the emerging (scheduled for completion end of 2009) hike and bike trail to white rock lake and downtown! 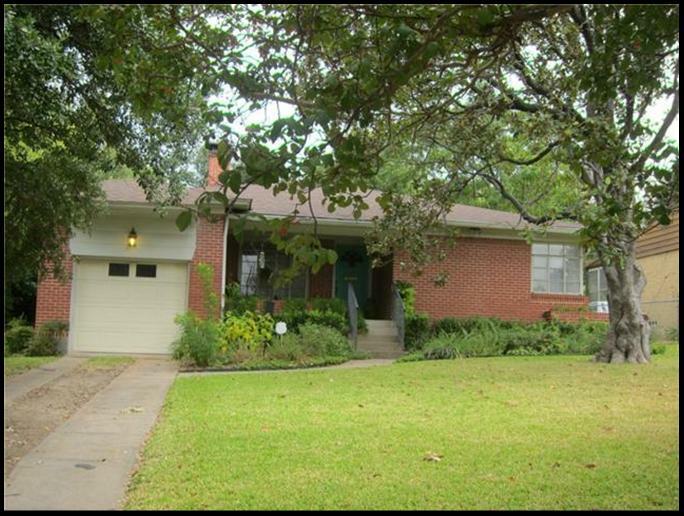 Floor-to-ceiling wood paned windows, hardwood floors, interior window opens to renovated kitchen with white cabinets & saltillo tile flooring. 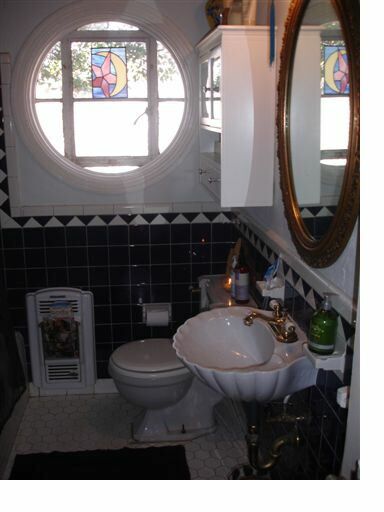 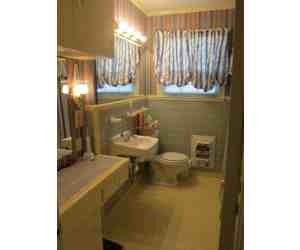 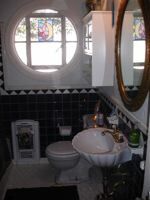 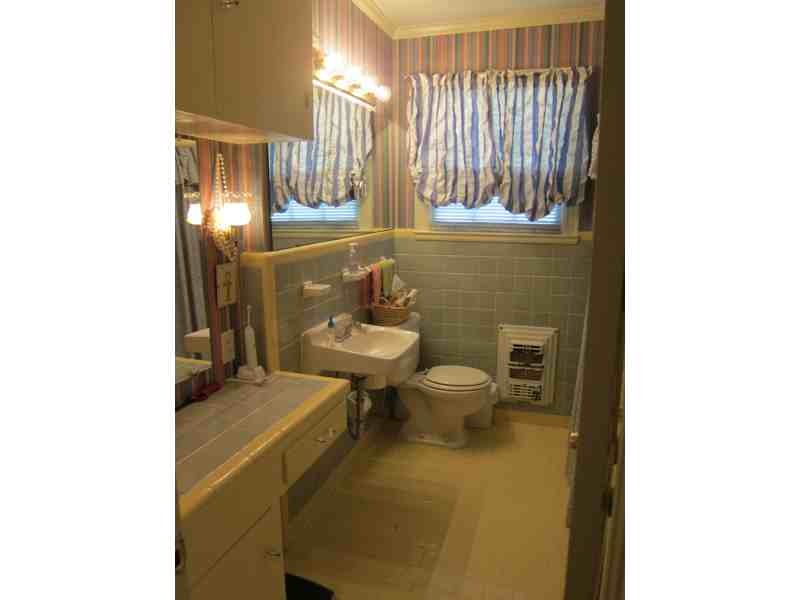 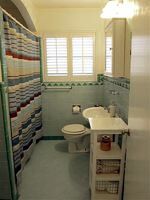 Recently renovated bathroom has tile and beaded wood wainscoting, pedestal sink and good storage. 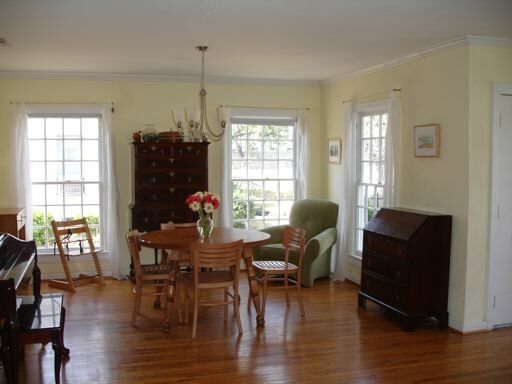 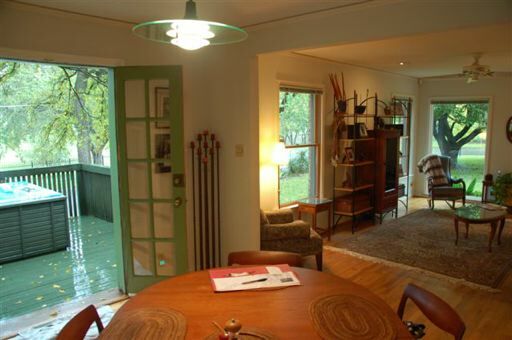 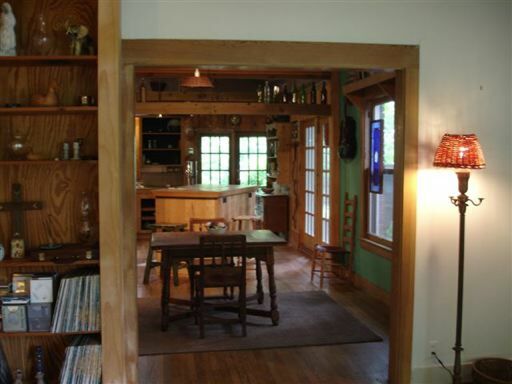 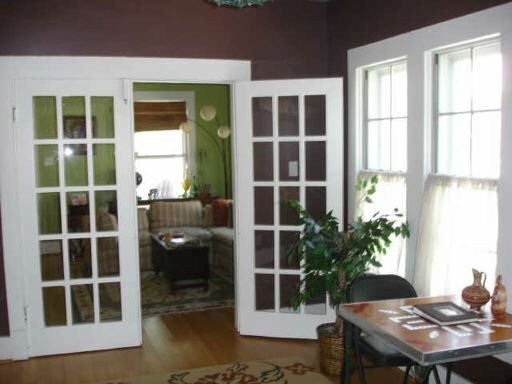 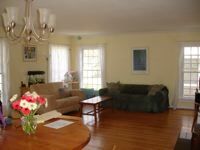 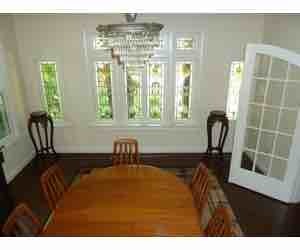 Open and light filled rooms, separate dining room and small front porch. 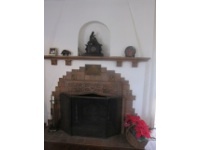 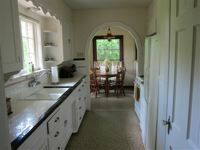 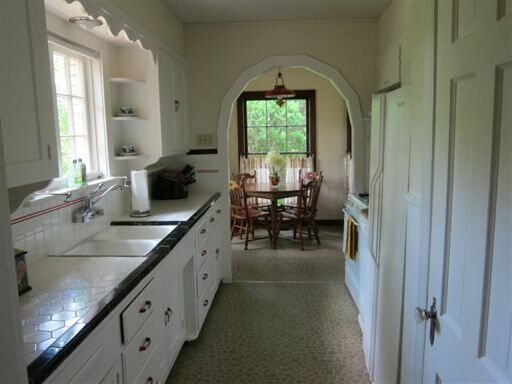 Period light fixtures & stack washer and dryer remain, refrigerator and microwave are negotiable. 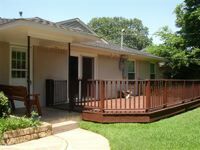 Recently constructed deck and one car garage. 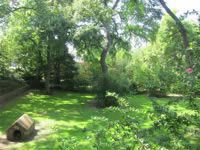 Walk to parks and new whole foods store.